In your quest to sharpen fundamental skills, we encourage you to visit these sites and pick up on tips for better training. The last three Super Bowl champions and 21 of last year's 25 top-ranked college football training programs own and use VertiMax. This is a very good website specifically targeting youth football coaches. It has information on offensive and defensive schemes, common mistakes of youth coaches, what equipment you should use and good insight on coaching each age differently. Youth coaches love his books. This website has compiled over 300 articles about youth football ranging from offense and defense to league administration. It also provides a message board for coaches to exchange ideas and schemes. This is an all in one stop shop for youth coaches. Get information on schemes, playbooks, cheerleading, popular links and other websites and it even has an online football store where you can get equipment as well as books and tapes. This site provides playbooks for coaches who may need a little help in developing their offensive or defensive philosophies. One thing to guard against, choosing plays too advanced for the kids you are working with. Stay with the basics and you will be all right. This site is a comprehensive guide to youth sports with a good breakdown of the essentials. The diagrams are good and the explanations are brief. Check the lower left sidebar to navigate to such topics as basics, defenses and drills to name just a few of the topics. "What to do in different baseball situations", and John Reeds ideas about "What are the most common mistakes youth baseball coaches make? ", and also "Why all youth sports drafts should be blind." Al Barton, a high school history teacher and varsity baseball coach developed this site as a requirement for a grad course while pursuing his Masters Degree in Education. He coached in his town’s Little League Program for 6 years. You’ll find pages of help on Throwing, Pitching, Fielding and Catching and Tips of the month. Don’t miss the Fun Stuff page he lists "Top 20 Reasons to Coach Youth Baseball." Are you a little league coach looking for information to enhance your coaching? Check out the three basic tee ball drills and other drills by age groups. Site has good ideas for drills and games to keep the fun in your practice while improving the skills of your players. Explore the site and you will find everything from position drills to team management ideas. This site has some nice tips and resources for the beginning baseball coach, player or parent. What is unusual is information about building a batting tee, batting cage and even a backyard baseball field of your own. Also check out the fun baseball activities. This site has drills for more than just baseball but check out some of the baseball tips and especially the defensive baseball drills. This site is unique in that it not only has free resources and articles for baseball coaches, it allows you to add these articles to your site. All they ask is that you credit their site with a live link. Check out articles like baserunning drill for balls in the dirt. This site is new and actively adding articles, so check back and check the newest articles and the most popular ones. This site sells a tool kit for youth baseball coaches which intergrates ideas, forms and coaching philosophies. Visit his sample page to view some free resources from his tool kit. Your Volleyball guide is Scott Hammon, a coach and official in Texas. A volleyball coach will need to have the right plan in place to train their players, teach them the necessary skills, and prepare them for competition. In order to do that, the coach must have the right mindset, tools, and resources to achieve maximum potential from his or her team. If you need some new volleyball drills to help you in your practices, then we have the information you are looking for. This section on our website has volleyball drills that you can use for just about any skill you are looking to improve on your team. There are also forms that you will need for coaching. Depending on the level of coaching you are doing, some of these forms may not be needed. However, I wanted to provide them as a resource anyway. You might need volleyball lineup sheets, volleyball stat sheets, or volleyball score sheets. If you need a sample practice plan for running a practice, we can provide you with that too. Here are sample volleyball practice plans for your volleyball coaching needs. Feel free to use them as needed and don't hesitate to modify them based on the needs of your team. Lots and lots of drills and video clips. You can also get several handout like, a stats form, a summer workout plan, a guard shooting routine, a half court blank diagrams, and much more. It has great basketball drills demonstrations that you can see on video. This is a must see website for any youth basketball coach. You will find useful coaching tools such as court diagrams, tournament planning, statistic and shot charts, and even a referee signal chart. Need some fresh new drills for practice? This site lists a great selection of ball handling, dribbling, passing, lay-up and shooting, and defensive drills. Improve those handles with Rick Pitinos Comprehensive Ball Handling Workout. Also find tips and drills for developing your post players. Read informative articles on topics such as coaching your own children. Find detailed instructions on implementing and running Pressbreakers, inbounds plays, man and zone offenses and a variety of defenses. This site will not be maintained frequently but still has some useful items especially for basketball referees like his version of a pre-game card, differences in rules (FIBA/US) and the links page. His Ask Ace Archive pages may go away someday. This site may look a little dated but if you dig it has more than just articles. It has some good tools like the EZ Score Sheet and a Shot Chart form. The What's New page has many links including one to Simplified Score Sheets which takes you to a page with many files and forms you can download and use. Sidney Goldstein is the author of the Basketball Bible, an excellent book for youth coaches. This site has many of his ideas and tips including what to do if you have little practice time. Don't miss the many helpful video clips including such basics as ball handling, rebounding, and dribbling. Check out the drills like youth drills, offensive drills or even wheelchair drills. Coach Brad Winters shares his multiple offensive and defensive systems; drill and practice plan. You will find quotes from various coaches, sports personalities. There are some good diagrams and passages to explain plays. Check the site map to find some of the other good resources of this site. This site has offense, defense, drills, practice planning ideas and some interesting reading. Basketball come in various sizes. It’s interesting to know the physics involved when you shoot a basketball. 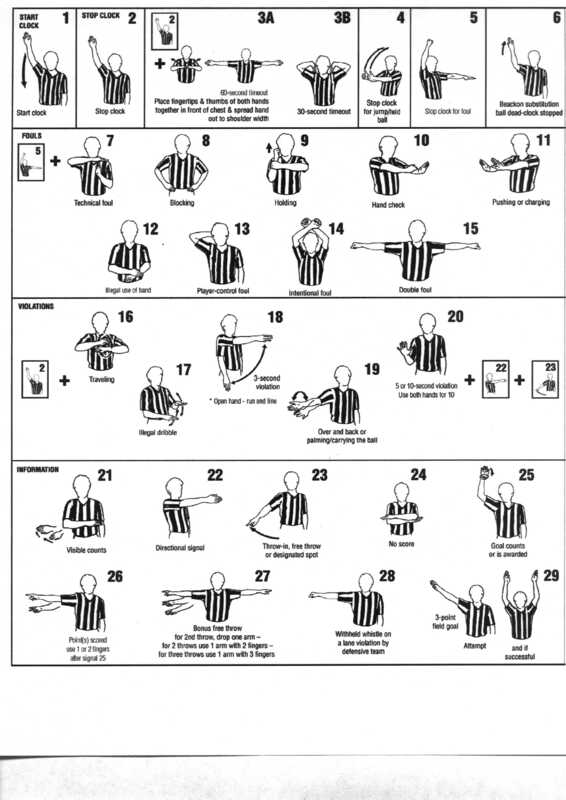 Make sure your players understand the rules and even the history of the game including the referee hand signals. This is a quick loading site selling a coaching system and other items but they also have some free resources and information on the site. Use the side navigation bar to find plays and drills. Be sure to scroll down on each page for the links and information that is free. This site has good drills for the young kids. These drills are simple and teach dribbling, shooting and boxing out. The Coaches Attitude and Dealing With Parents and Fans articles should be read by every youth coach. Information on Basketball Playbook and an Sideline Organizer are worth exploring. Website has annoying pop up asking you to signup for newsletter and free ebooks. It does have articles to help you understand your role as a youth basketball coach and including 8 ways to earn your player’s trust. Find a few simple tricks to optimize practice time and get more done without sacrificing your tight schedule. Every coach needs to know the fundamentals and be able to teach several plays to their players. Scroll down on pages for more links. A basketball page from the y-coach.com site. Check out the database of drills and plays. Scroll down on play pages for diagrams. The site has fundamental information for the youth coach on shooting and passing and tips for the players, but the information a youth coach should remember is the importance of teaching your players to know their shooting range and what is a good shot. This site contains individual and team drills for young players. There is a variety of creative individual and team drills that can make practice more fun. Learn fundamental aspects of the game such as getting a feel for the ball and position on the court during different situations. Train your coaches: The single most important action a youth sports organization can take to enhance its program is to train its volunteer coaches. Encourage your organization to train their coaches. A Parent Orientation Program and Criminal Background Checks are also available. This site promotes putting kids and fun first. There is an abundance of good articles including sections on coaching fundamentals, basic skills training, organizing practice sessions, first aid, dealing with parents, how children think, and lots more. You can find information on what to say to kids at practice and how to coach pre-school children. There is LOTS of information and reading on this site so scroll down on home page for listings of some of the available resources. US Youth Soccer promotes a fun, safe and healthy game for all kids. They also have lots of resources on their website including video of 50 of the most basic soccer skills, a download page full of resources for administrators and a tournament database. This site features US and Canadian soccer tournaments organized by year and date. You can find tournaments for a holiday weekend or an indoor tournament. The Soccer Manual Web Page is a great place for coaches of all levels. It offers helpful resources, instructions to teach basic principles, practical guidelines, practice plans to teach basics, and more. We recommend the link on How to Coach the Very Young. Overall, this is a very complete Site that will help you learn or reinforce the basics of coaching youth soccer. There is also a downloadable version of the manual in a small size version to print. This manual has drills to teach players how to be in control when outnumbered, both in soccer and in life. It promotes a smoke-free soccer environment. At last a Web page designed to help coaches train the most mysterious position of soccer, the goalkeeper! This one is one of the few Web pages out there that specifically concentrate on this position from drills, footwork, and tactics to equipment, psychology and more goalkeeping links. Site full of excellent soccer resources. One very convenient feature of this Web page is the great selection of free youth soccer books that you can order directly from the Site. Very complete Web Site that concentrates on a European style called "Dutch Vision" which covers almost all soccer issues imaginable. According to the sources given in this page, (which are lectures, coaching sessions, informal talks, critiques and handouts among others) this site intends to introduce this European style to the Americas. I recommend the children's section of the page. The soccer dictionary in this Web Site can be a great tool for the youth soccer coach. With over 350 definitions of terms, concepts and rules this Web page clarifies many basic concepts of the game. Another nicely designed Web Site that offers drills for soccer training, but the Special Topics section is the most interesting. Cover topics are drugs, injuries, external factors, match analysis, and even technology. This useful website has some important things every coach should know and some good basis first aid information.